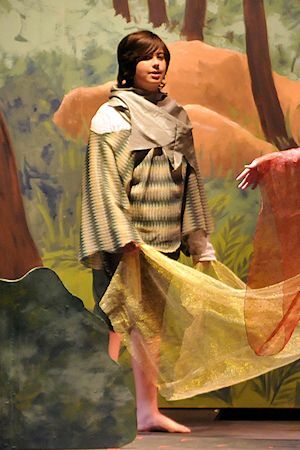 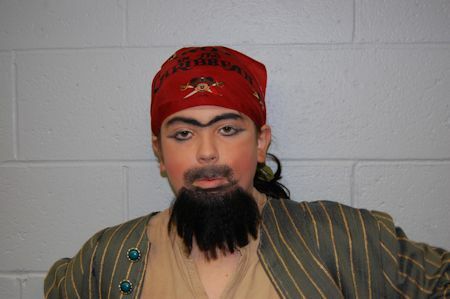 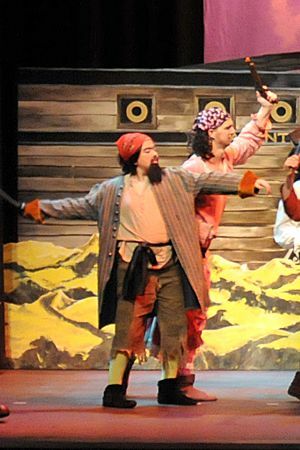 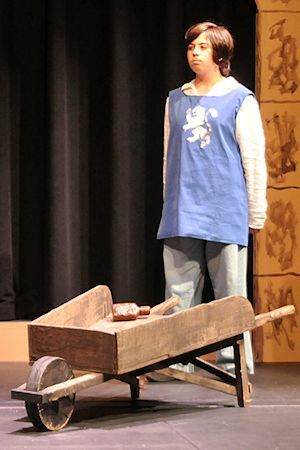 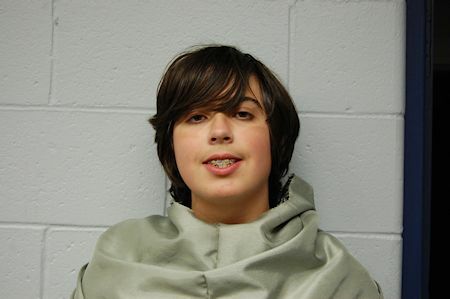 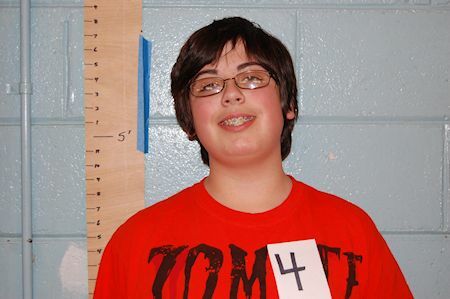 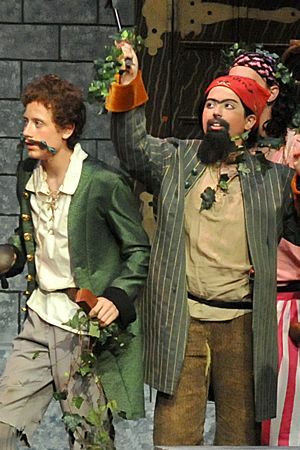 Connor appeared as the pirate Oswald “Ozzie” Ringer in last season’s The Pirates of Penzance production, and he also appeared in The Hobbit for the Mid-Ohio Valley Players. 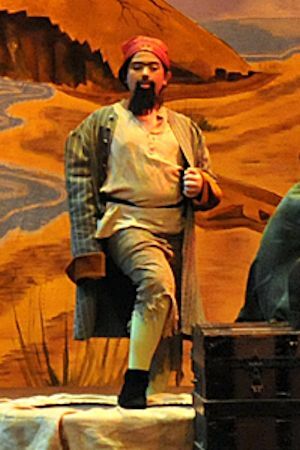 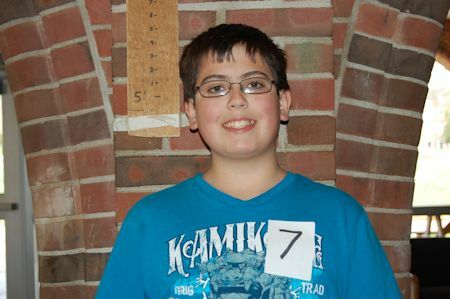 He worked backstage this season for Shrek The Musical at the Actors Guild of Parkersburg, and for The Pink Panther Strikes Again for the Mid-Ohio Valley Players. 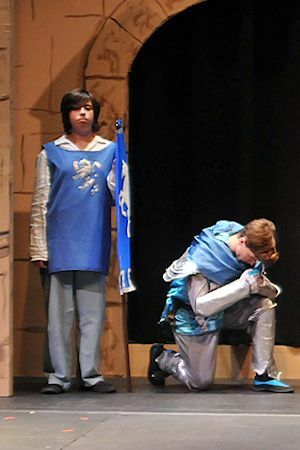 Below are photos of Connor as Squire Dap. 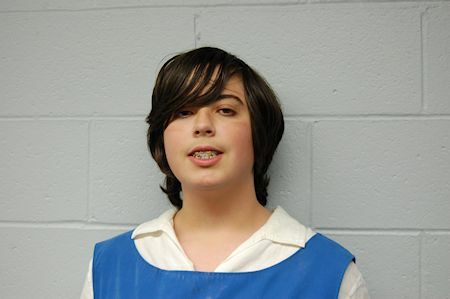 Below are photos of Connor as Oswald Ozzie Ringer.